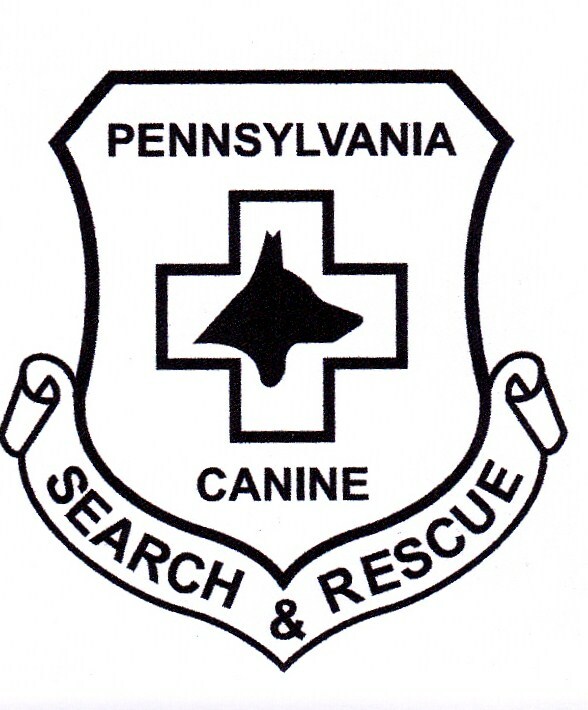 The purpose of PACSAR is to improve search and rescue capabilities in the State of Pennsylvania with volunteer search and rescue resources; to organize, prepare and respond to search emergencies when requested by authorities having jurisdiction over search incidents and to work under the guidelines of the Pennsylvania Canine Search and Rescue (PACSAR) and under the Pennsylvania Search and Rescue Council (PSARC) as well as the National Association for Search And Rescue (NASAR). Offering the most efficient search and rescue resources to the local and surrounding municipalities in the State of Pennsylvania and other surrounding States when requested by FEMA. All active field ready PACSAR members are certified in First Aid/CPR. Multiple members carry certifications with FEMA Emergency Operations (NIMS 100, 200, 700 and 800), NASAR SARTECH II and III, and several members are certified by PA DCNR as Field Team Members and Field Team Leaders. PACSAR'S K-9 team trains continuously and works toward certifications from a National/International Working Dog Association whose guidelines for the SAR Wilderness K-9 Certificates are recognized by FEMA, as they meet or exceed FEMAS Typed Resource Definitions FEMA 508-8. Those Outside Working Dog Association's are American Working Dog Association (A.W.D.A. ), NSDA also NASAR. When a K-9 Team is ready to be tested, an outside 3rd party certifier from A.W.D.A., NSDA or NASAR will come and then test that K-9 team for their certification. PACSAR became officially incorporated as a non-profit cooperation in January 2013 and has the 501 (c) 3 status with the government. PACSAR is in a Full Member status with the Pennsylvania Search and Rescue Council (PSARC), a council which sets the highest standard for a SAR teams. When a SAR team is on a “Team Level” with PSARC, you have the best of the best in PA responding to help search for your lost or missing loved ones. For an Emergency Call out please call 717-484-9577 or call 911, your local County Dispatch and request Pennsylvania Canine Search and Rescue personally, Lancaster County Unit 95.